If you've got a NAS appliance, a server at work, or even shared folders on your other computers, you'll know how annoying it is to keep your shares connected. 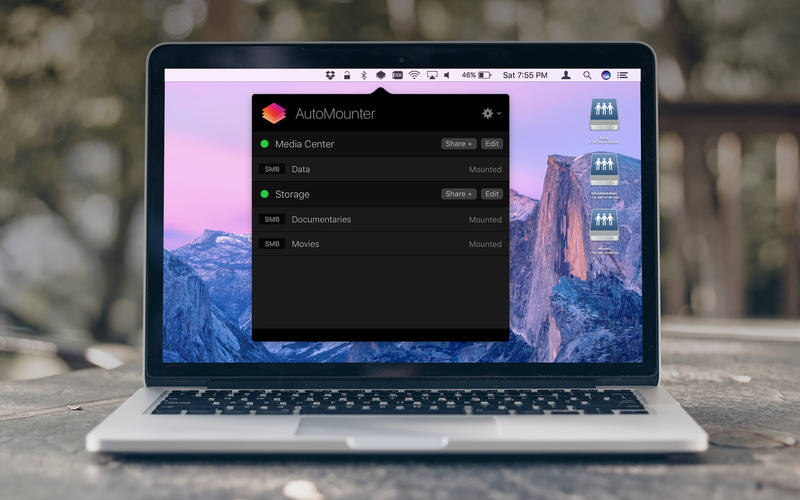 AutoMounter is here to make your life easier, intelligently managing your NAS servers and shares, ensuring your shares and files are always accessible and ready to use. Configure as many servers and shares as you like. AutoMounter will keep track of them all. 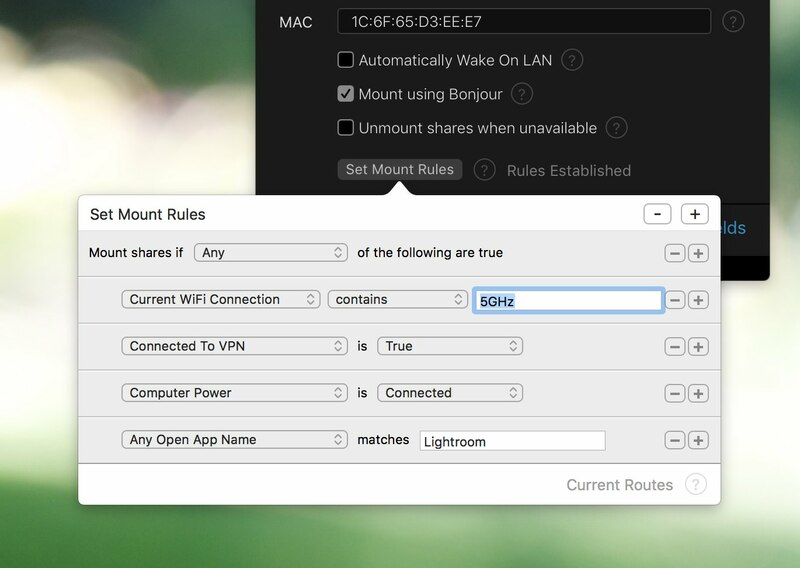 You can even configure multiple of the same server if you have a different set of mount rules for certain shares. Automatically wake your server with AutoMounter. 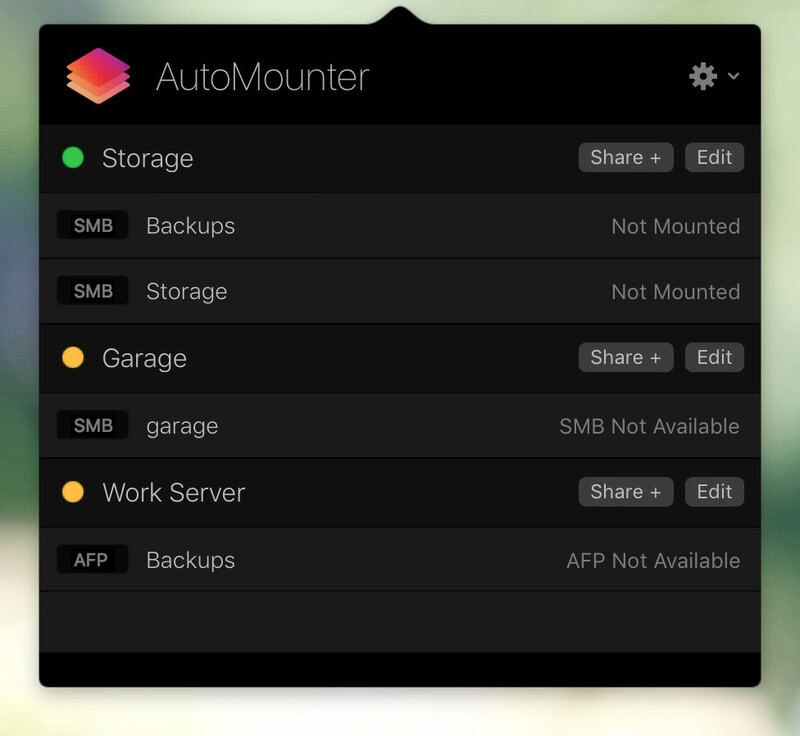 Useful when you get home - open your laptop and AutoMounter will detect if your server is unavailable, wakes it, and mounts your shares. 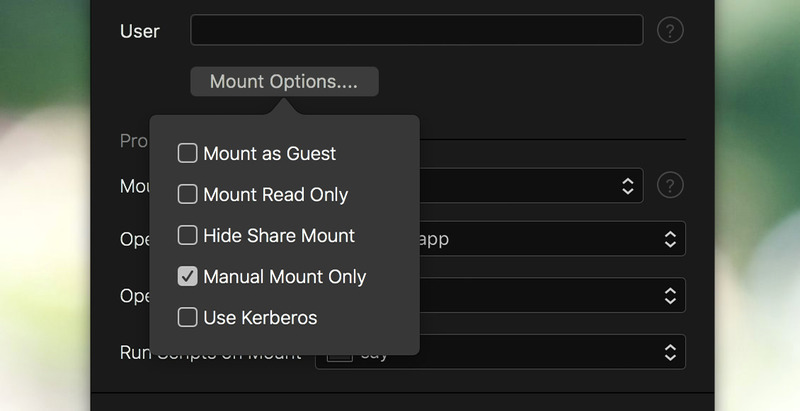 Mount a share as read only, or hide it from Finder. You can specify if you're authenticating via Kerberos or a guest user. You can also take control and mount shares manually. AutoMounter can detect available Servers, making it that little bit easier to configure. Simply select a found server, and AutoMounter will fill out the correct settings to get you up and running. Automatically discover available SMB and NFS shares if the server supports it, so you can take the guess work out of configuring your shares. 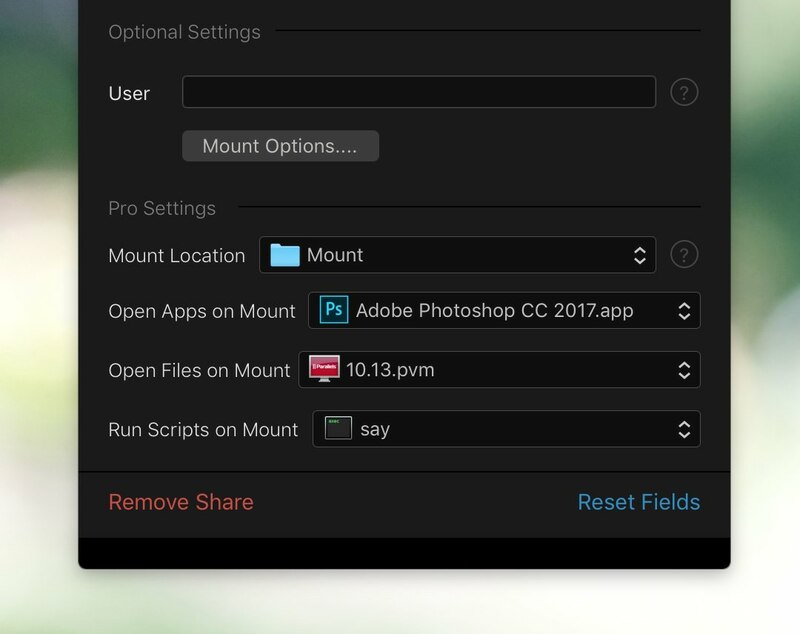 Open files and apps, and run scripts when a share mounts. This provides a powerful way of automating processes that rely on a share being available. You can even specify run-time variables for script arguments, like the current share path. Choose a custom mount location for each of your shares. 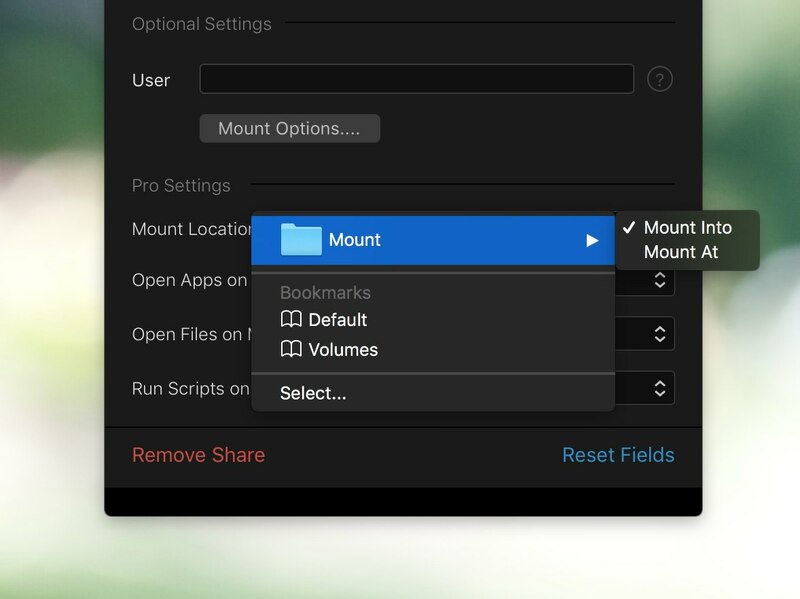 You can mount into or at a custom folder, or choose to mount into /Volumes. 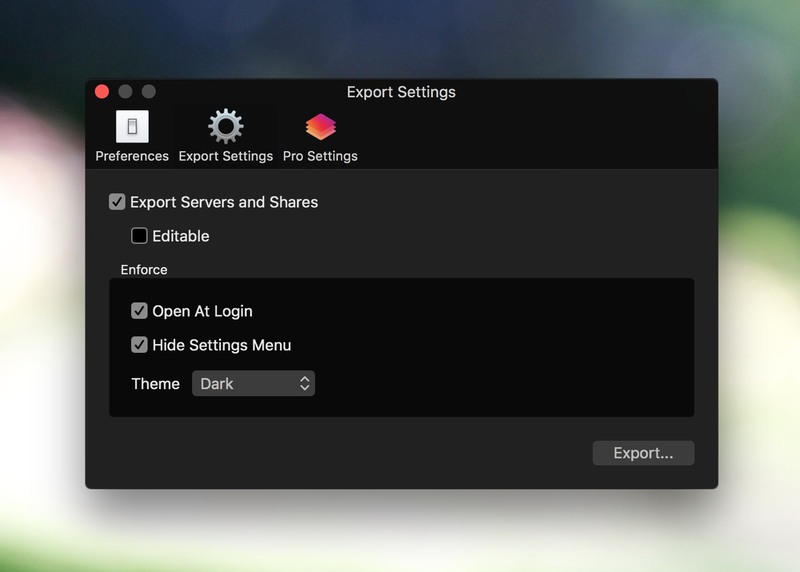 Import and Export settings via a configuration profile. Great for IT administrators, you can easily lock down AutoMounter with enforced settings. - Share "homes/%AM_USER%" becomes "homes/currentuser"
Please get in touch if you require a volume license.